Hello! I live in Minnesota on 10 acres. My chickens live in a 30 x40 pole barn converted from horse barn to chicken coop. They have two varmet proof 12x12horse stalls. One is insulated. 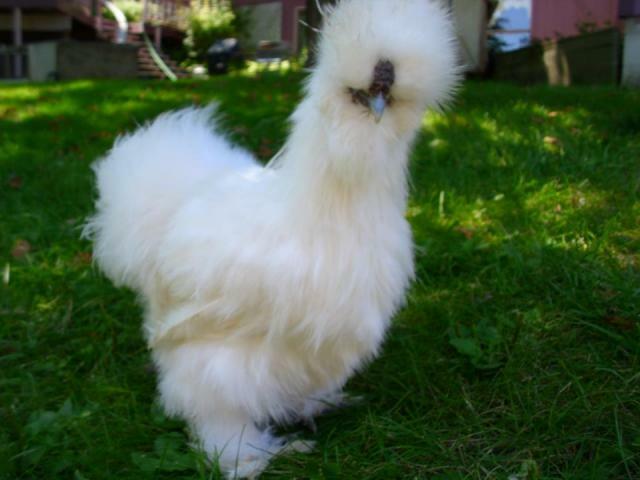 I plan to use those for broody's in the spring (purebred silkies I hope). The barn has a 15x20 cement slab as you come in the door. We have some hay left from the horses that the chickens love to nest in and that is where they lay their eggs. The rest of the barn has a dirt floor which works out well for dust baths! I am able to secure the barn at night to keep my peeps safe. 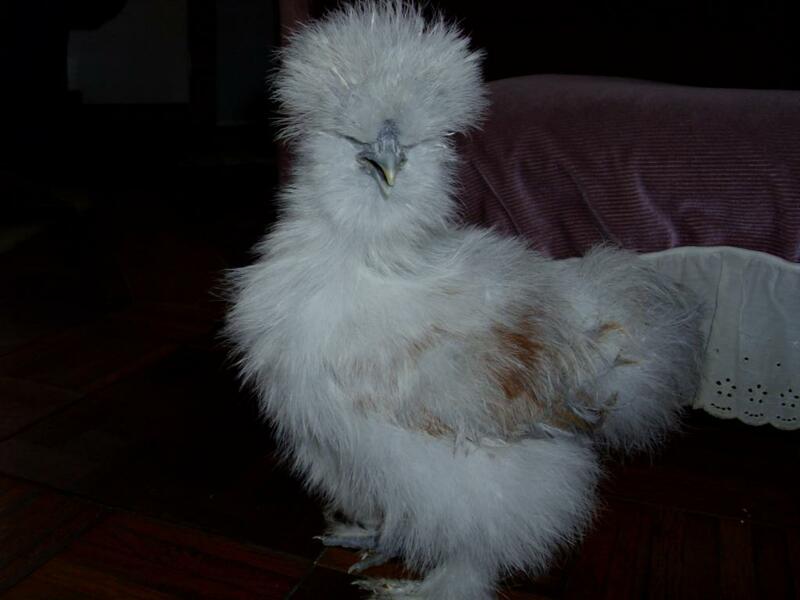 I have one lovely silkie roo (Bo). He is a really a sweetheart! He has 4 silkie ladies to care for. I also have one EE hen that I kept because she has such a great personality and one special needs barred rock that I agreed to take as my neighbor was unable to keep her safe. 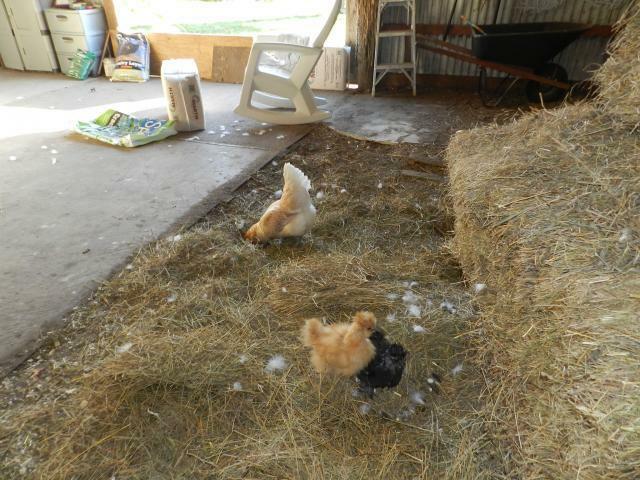 I also have a four month old buff silkie cockerel & a 4 month old black pullet. I just purchased another 4 month old that I named China. Not sure if it is a boy or girl but I love the color. Not sure what to call the color! My silkie roo is in charge, but rules with a kind heart! He is able to keep the EE & bared rock in line! My EE and barred rock free range but my silkies do not. They have a tractor for free ranging. I'm too nervous to let them free range as they are so helpless. I love to sit in my rocker in the barn & watch my peeps weather permitting! We have a wonderful Siamese cat named Bandit. 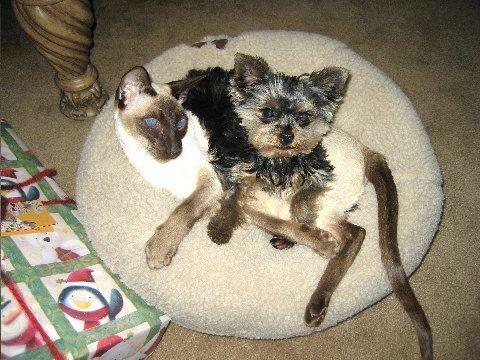 He is 11 years old and takes such good care of our 3# Yorkie named Duke. He even bathes Duke.! We have a Golden retriever and Rottweiler. They live outside most days and are great protectors of our chickens. They sleep in most nights once the chickens are secured. I love all you BYC members! Someone to talk to as my family thinks I'm chicken crazy! Thanks for stopping by!